3 Top Exercises for Prevention and Treatment of Osteoporosis. 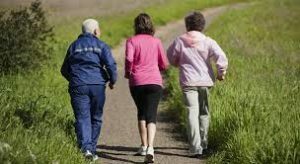 We have researched the 3 Top Exercises for Prevention and Treatment of Osteoporosis as a special service to our senior readers. The reality is that after age 30, our bones begin to lose density, making them more brittle and susceptible to fracture with each passing year. There are some basic changes to diet that can help to prevent this bone loss. Changes such as increasing consumption of calcium and Vitamin D will help but the aging process naturally begins to take its toll on bone mass and density. As a result, a common problem for older individuals over the age of 50 is osteoporosis. This involves the significant loss of bone mass and density that increases the risk of a fracture. According to some estimates, 50 percent of all women age 50 and over will have an osteoporosis-related fracture in their lifetime. What are the 3 top exercises for prevention and treatment of osteoporosis? 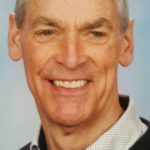 The good news is that doctors and medical practitioners have found that the 3 top exercises for prevention and treatment of osteoporosis could help to delay or even prevent the onset of osteoporosis in old age. The first of these are flexibility exercises, such as stretching and yoga. 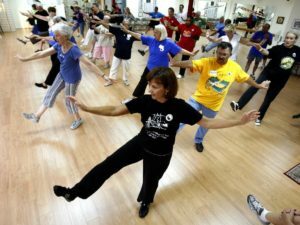 The second of these are weight-bearing exercises such as walking, hiking or dancing. These activities require the legs and lower body to support the full weight of the body and can help to build bone mass. 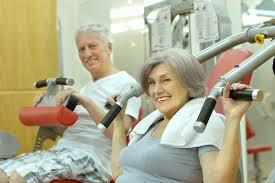 But the most important form of exercise in terms of delaying or preventing osteoporosis is resistance exercise. These exercises require certain muscle groups of the body to work against the weight of another object. This strengthens muscle and builds bone mass. And it does something even more important. It builds bone density, which means the bones are more solid and less at risk of a serious fracture. In short, resistance exercise builds good bone health without the risk of high-impact exercise, which could lead to fractures in weakened bones. Resistance exercise also means that you don’t have to bend or twist at the waist. This is another common activity that doctors have highlighted as contributing to bone stress and fractures. Putting it all together, the perfect exercise program to delay or prevent osteoporosis would be one that’s low-impact and that forces different muscle groups of the body such as the arms, chest, shoulders, legs and back, to engage in resistance against a movable object. An all in one compact home gym puts this all together for you in a safe and simple process. In fact, exercising the full body just 2-3 times a week is enough to show real improvement in bone health. You have two basic options, free weights or an all-in-one home gym machine. Free weights can help to build muscle mass but they are not as effective at building bone mass. That’s because you’re not working the body through the full range of motion. And it’s a lot harder to target specific muscle groups with free weights. You may be able to work out your arms and shoulders, but it’s harder to target your chest, back and legs. 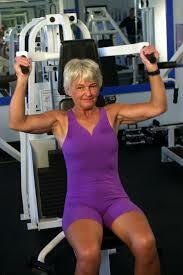 That’s why a popular option for many older individuals concerned about osteoporosis is the all-in-one home gym machine. 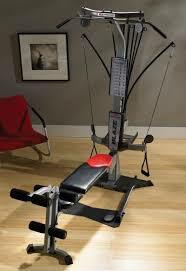 Many of these home gym machines are able to offer 20-25 different exercises, each of them geared to working out a specific muscle group. Since there are no free weights involved, there’s no risk of picking up or dropping heavy objects. And you can work your muscles through a full range of motion. In just 30 minutes you can complete a full-body resistance workout that targets particular at-risk areas, such as your arms and legs. Those physical health benefits of a home gym are complemented by all the other benefits of working out at home rather than in a crowded membership gym. There are no annual fees, no waiting in lines for popular machines, and no need to compete with younger gym-goers, who may be more focused on muscle mass than on bone mass. For all of these reasons, if you’re at risk of osteoporosis, investing in an all-in-one home gym machine could be one of the best investments you ever make! You will find that the 3 top exercises for prevention and treatment of osteoporosis can all be safely and effectively carried out in your own home gym. Click here for our research and recommendations on the best home gym equipment for your needs.